Capcom is going big with an in-home classic arcade machine with many present-day technology features. A true, modern arcade experience is on the way with competition class Sanwa JLF-TP-8YT sticks and OBSF buttons. All that is necessary for an easy set up is for players to connect the Home Arcade to a compatible display with an HDMI cord. Also, it is charged using a micro-USB cord. The Capcom Home Arcade does take a different route than other recent classic console releases, coming pre-loaded with a set number of sixteen classic Capcom games. Those sixteen titles are: 1944: The Loop Master, Alien vs. Predator, Armored Warriors, Capcom Sports Club, Eco Fighters, Captain Commando, Final Fight, Gigawing, Cyberbots: Full Metal Madness, Darkstalkers: The Night Warriors, Mega Man: The Power Battle, Progear, Ghouls ‘n Ghosts, Super Puzzle Fighter II Turbo, Strider, and Street Fighter 2: Hyper Fighting. While this is the list of games that it will be launched with there is one reason to hold out hope that even more may be added in the future. That reason is that the Capcom Home Arcade will have the ability to connect to the Wi-Fi. That not only gives the option for future additions to the collection, but allows players from all over the world compare scores with one another on the worldwide High Score Leaderboard. 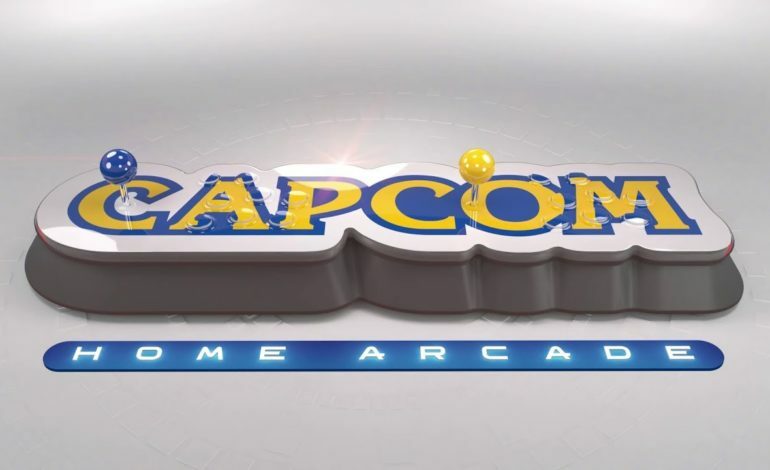 The Capcom Home Arcade will be available for purchase on October 25 for roughly $260 USD.